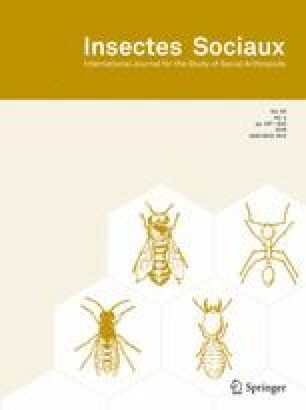 The Africanized honey bee (AHB) has generated much research on invasion ecology and impacts on native pollinators ever since its introduction in Brazil approximately 60 years ago. Some have sought to determine how deforestation plays a role in mediating impacts between the AHB and native pollinators. We present the largest-ever, systematic survey of AHB presence/absence in the Neotropics to test to what extent the AHB prefers to forage within forests vs. outside forests. AHB presence/absence within and outside forest fragments was recorded at 187 locations distributed across the state of Rondonia, Brazil. The landscapes at each location varied in terms of overall level of deforestation and the length of time since modern human settlement. AHB presence was significantly higher outside forest cover. These findings agree with previous studies documenting the spread of AHBs in the Amazon in their preference for deforested areas. The online version of this article (doi: 10.1007/s00040-016-0506-y) contains supplementary material, which is available to authorized users. This study was funded by Tecnosolo and DHV Consultants, and it was conducted as part of the Second Approximation of the Socio-Economic-Ecological Zoning of the State of Rondonia. Thanks to Chris Bishop, who helped construct the map, and to Sandro Boina and José Aparecido Vieira for their field assistance. The map presented in figure 1 in supplementary material was reproduced from Brown and Oliveira (2014) with permission.